In today's homes, gray-toned wood is becoming increasingly popular. This Urban 12mm Rocky Slope Oak laminate flooring by Primo Florz is an excellent example of an elegant and sophisticated gray flooring option. With its realistic wood grain, distressed appearance and slightly warm-toned gray color, it adds a fresh and chic look to any space. But by using laminate instead of actual hardwood, homeowners can save money while enjoying superior durability and easier installation. You'll be impressed by the incredible longevity of quality laminate floors like these. This Urban Rocky Slope Oak laminate flooring comes with a 30-year warranty and, at 12mm thick, is tough enough to resist impacts and scratches. It also features Valinge drop lock installation, making it easy to put in place on your own if you're up for a DIY project. Give this stunning flooring choice center stage in your home by choosing it to upgrade your living room, kitchen or any other room in your home. 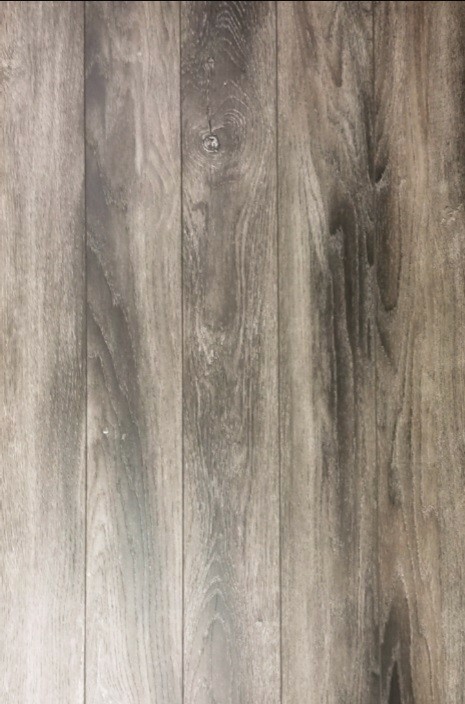 You'll love that by shopping at iDeal Floors, you get access to great deals on high-quality flooring products like this Urban 12mm Rocky Slope Oak laminate flooring.